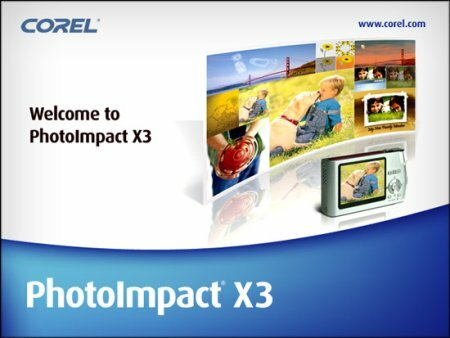 Corel (Ulead) PhotoImpact X3 13.0 Portable » SoftLab-Portable.com - Portable Soft! Easy photo editing and digital art projects. Corel PhotoImpact X3 combines easy-to-use photo-editing tools with inspiring photo projects and digital art to make digital photography and image creativity fun, fast and easy. PhotoImpact X3 is packed with fun photo projects, easy one-click photo fixes and new digital art tools that make your creative projects look their best. Quickly touch up your favorite pictures with innovative ExpressFix editing. Use customizable project templates to create memorable photo gifts in just minutes. Get creative with drawing and painting tools, and work with graphics to enhance your video productions. Whether you're a beginner or it's your hobby, PhotoImpact X3 will help you create professional-looking graphics for slide shows, videos, DVDs and more. Easy & Fast ExpressFix Mode. Automated photo enhancements and easy-to-understand options put the tools you need at your fingertips. Instantly fix exposure, color and composition. Beginners like the simplicity, experienced users like the efficiency. Paint realistic looking clouds with the Cloud pen. Enhance your photos with creative filters. Draw and paint like a pro.